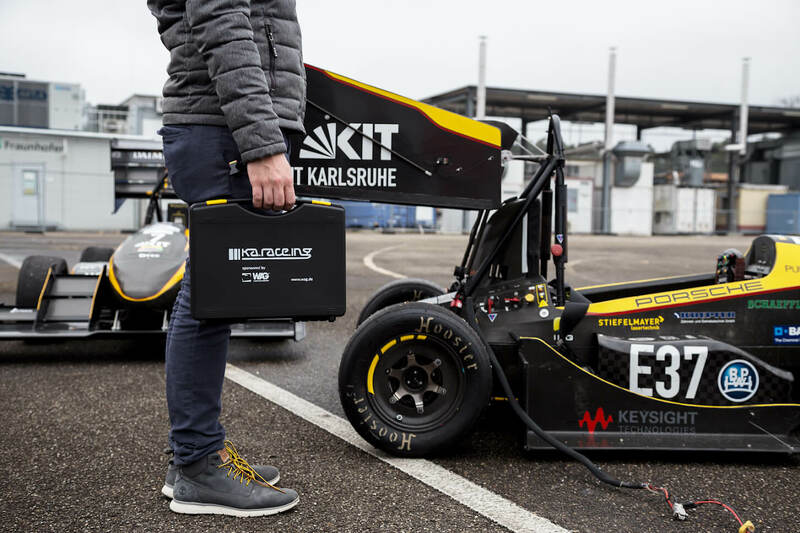 KA-RaceIng e. V. is a team of dedicated students and prospective engineers (mechanical engineering, industrial engineering, electrical engineering) from the Karlsruhe Institute of Technology (KIT), who develop, design and manufacture three Formula race cars (with a combustion engine, an electric motor and an autonomous one) as part of the international design competition Formula Student. 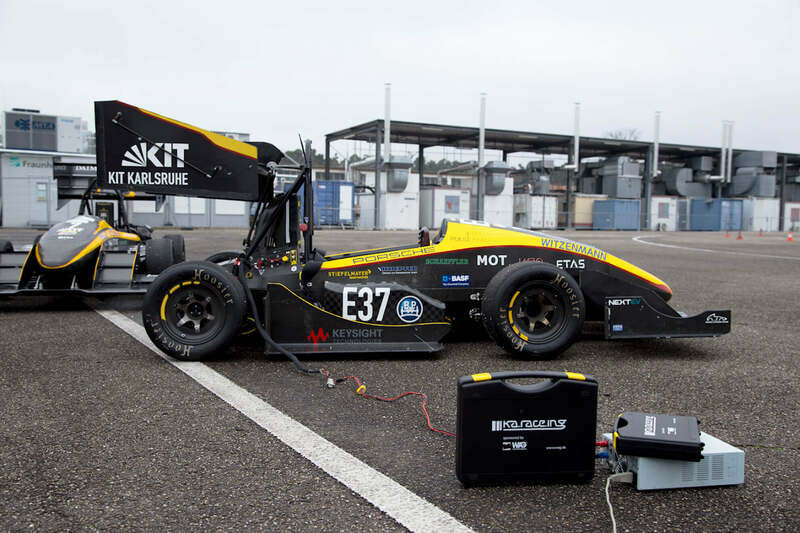 The nearly 90 KA-RaceIng team members compete against more than 500 teams from international universities all over the world. In order to safely store and transport tools and small parts, Klara Wund from the “Electric Drivetrain” department and Sarah-Elisabeth Bormann from the marketing team contacted the German plastic case manufacturer. Together they designed TEKNO plastic cases out of the three basic sizes. The plastic cases in the desired colour of black with yellow fasteners contain a padding made of nubby and slab foam. 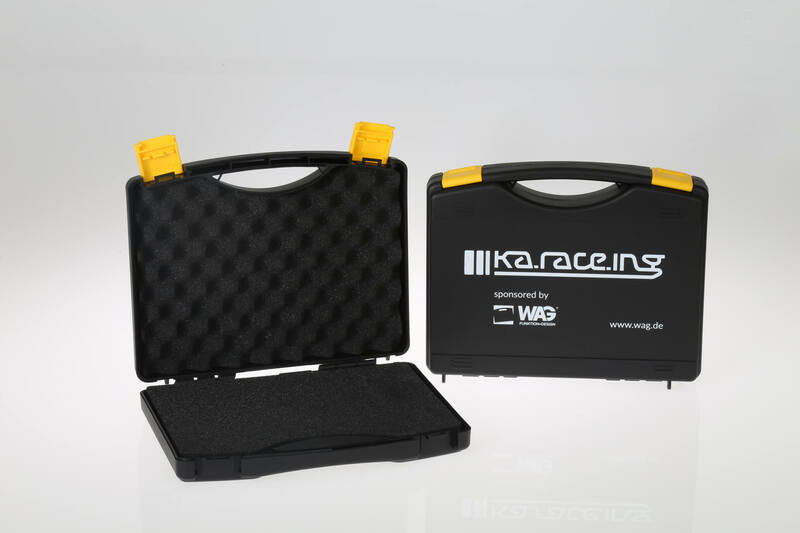 On the outside surface of the plastic case is a white screen print with the KA-RaceIng logo. 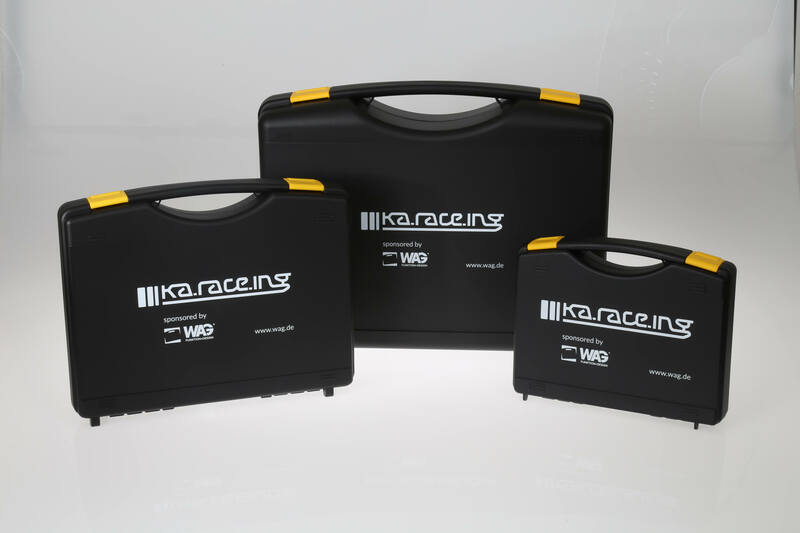 This allows the team to have the inlays individually tailored to their tools and they can present themselves on the racetrack with personally branded tool cases. The W.AG team is keeping their fingers crossed for the KA-RaceIng team for future competitions! A current video about the KA-RaceIng team is available on YouTube.